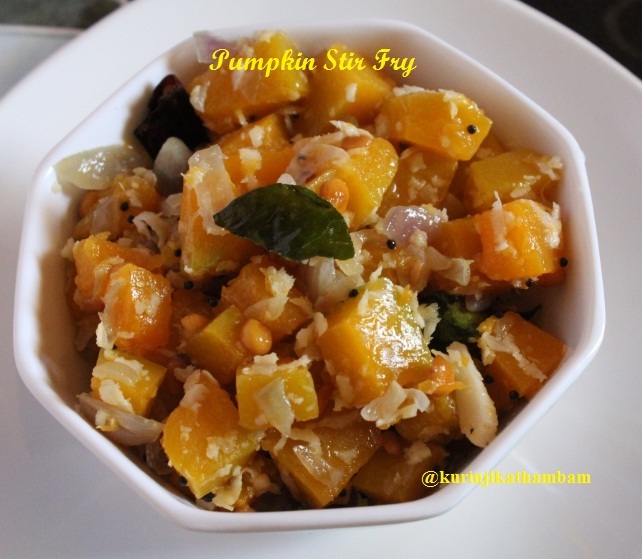 Pumpkin Fry is a light-sweet side-dish which goes very well with Kara Kuzhambu or Vathakkuzhambu. 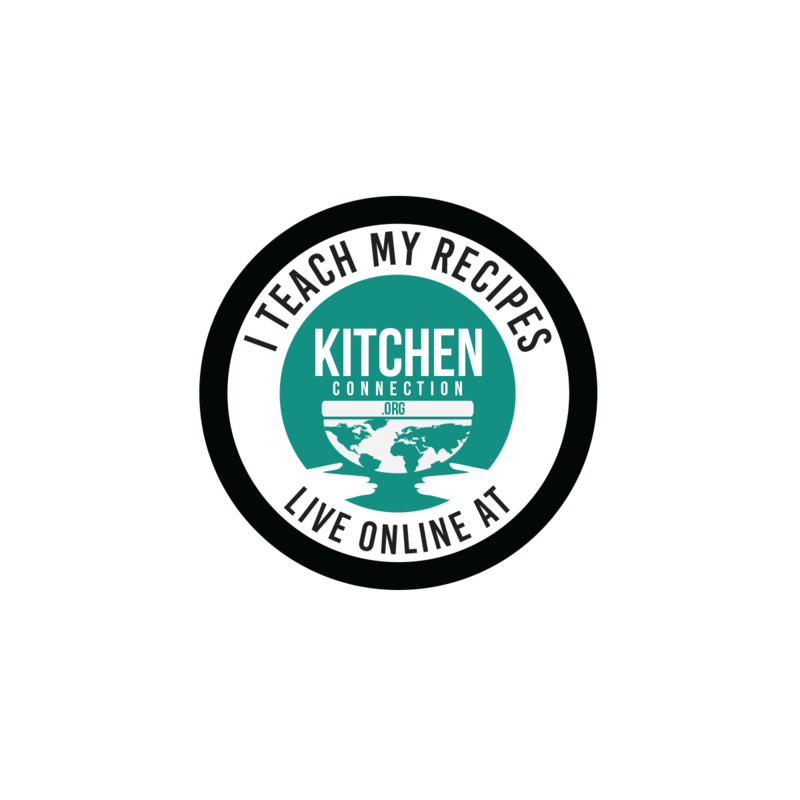 I have already posted a Pumpkin Kuzhambu Recipe. 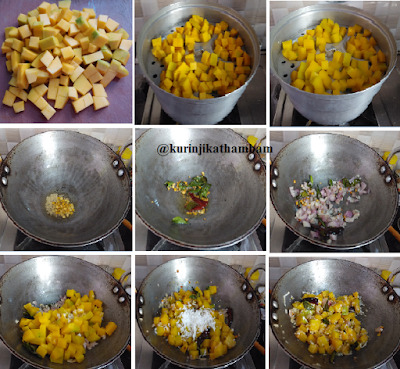 The Main difference is the natural sweetness in Pumpkin Fry which gets lost in the Kuzhambu Recipe. 1. Remove the seeds and skin of the Pumpkin. Cut it into 1 inch square pieces. 2. Peel the skin of the Onion and wash it. Cut it into small pieces. 2. Steam cook the Pumpkin pieces for 4-5 mins or till they turn into glossy. Allow it to cool down. 3. Heat the oil in a pan, add mustard and wait for popping. Then add the urad dal and Bengal gram dal. Fry till they turn into golden color. 4. Now add the red chilli (break it into 2 halves) and curry leaves. Saute for a minute. 5. Then add the chopped onion and fry till they turn into translucent. 6. Now add the steam cooked pumpkin and salt. Mix them gently and keep the flame low. Close the lid of the pan and cook for 2 minutes. 7. Add the grated coconut and switch off the flame. Mix them gently and transfer it into serving bowl. Very very easy and tasty poriyal is ready to serve.